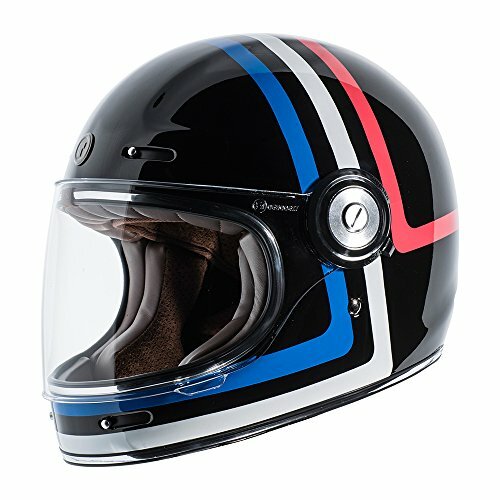 The list of Retro Full Face Helmets is never-ending. With so many options available, it becomes tough to select the best one for your needs. Don’t worry! After reading this post you’ll surely find one. 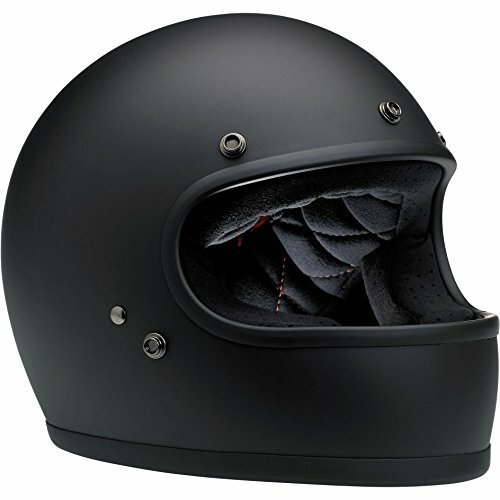 Want to check the factors we go through before choosing the helmets we’ve mentioned in this post? 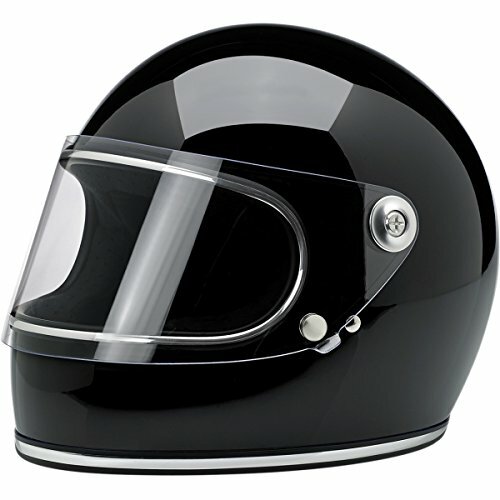 Check our Beginner’s guide to buying a motorcycle helmet. 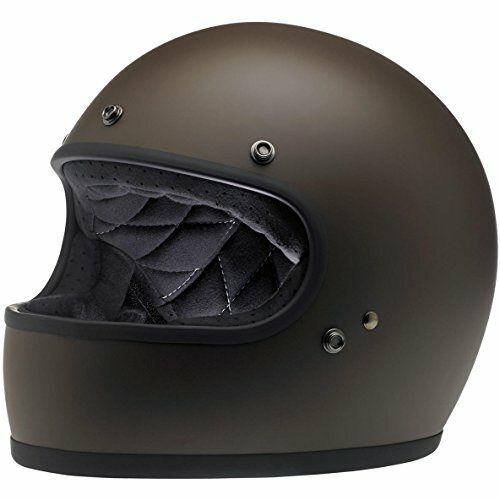 The Helmet Finder team and the community members at XavierBoog Group did a test of more than 47 helmets and have finally made a list of the best ones available in the market. 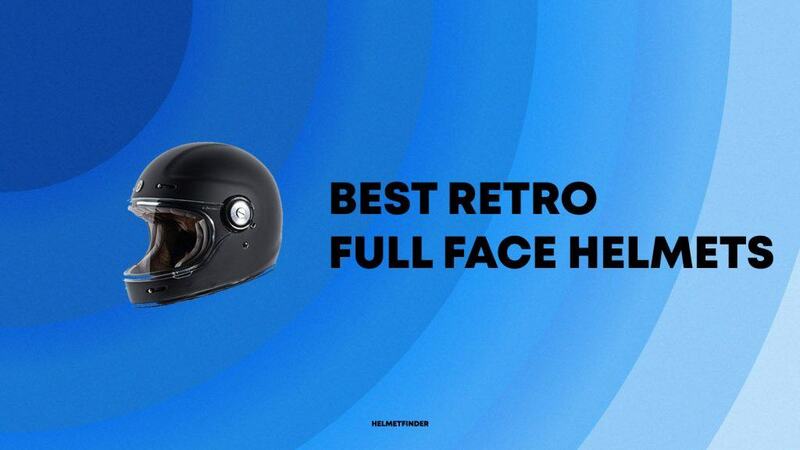 If you don’t want the retro full-face helmet, check our list of best full face helmets. 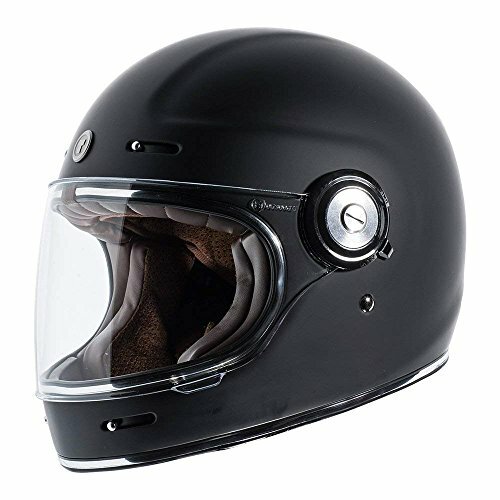 Editor’s Pick: This section of our guide has only 2 helmets listed, one of them is the best in the market and the other one has all the basic features a retro full face helmet must have. Don’t go anywhere! If you didn’t like the above suggestions, there are 8 more options we’ve selected for you. Go through them, we also promise that we’ll update all the lists every week. 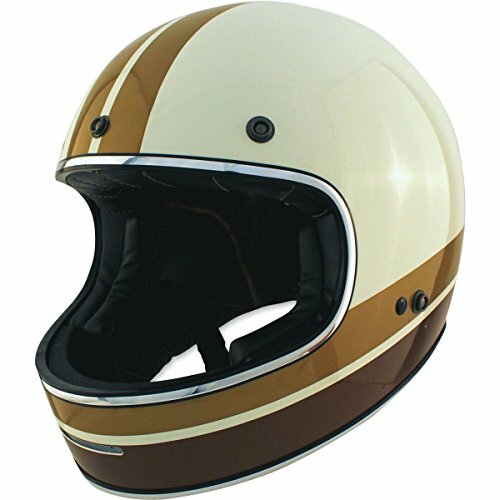 So shall we begin with the list of best retro-style full face helmets? 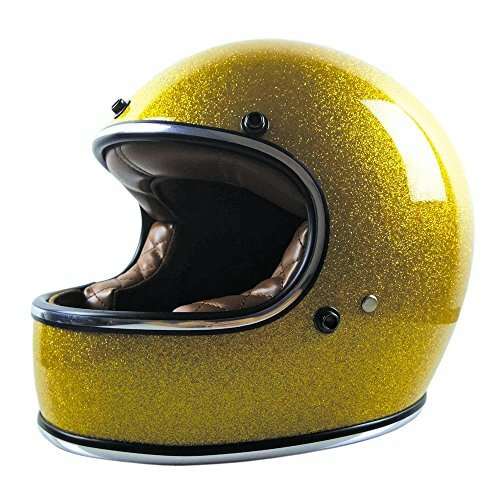 T1 Helmets run on the large side!!! 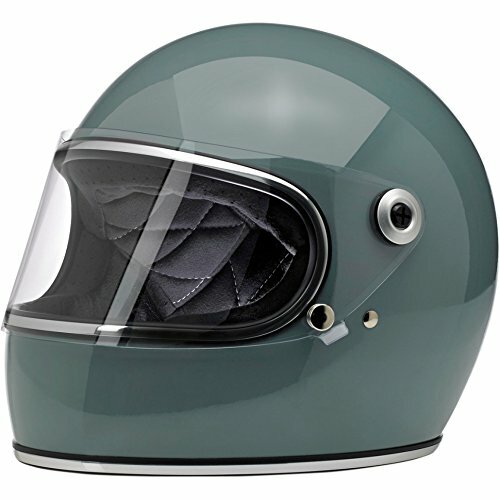 The Gringo is Biltwell’s first DOT-compliant full-face helmet. 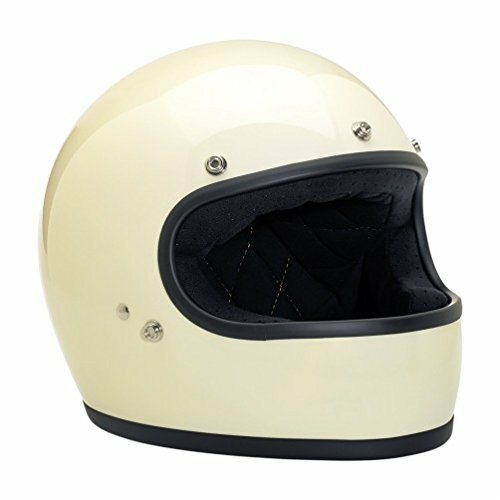 This retro-inspired skid lid ditches trendy vents and gizmos to create a stripped-down aesthetic that screams “low tech” and “high speed” in the same breath. 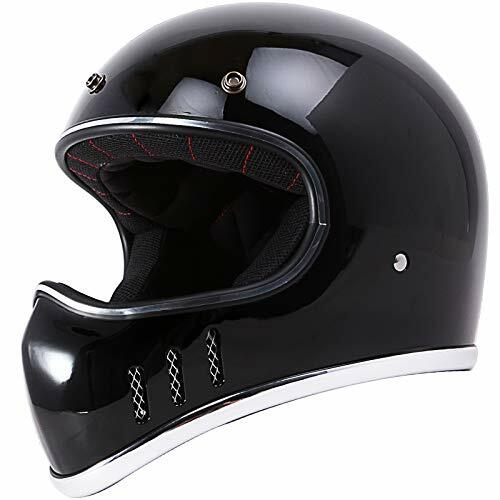 Construction features include a seamless injection-molded ABS outer shell, shock-absorbing EPS inner shell and a removable, hand-stitched comfort liner with open-cell foam and brushed Lycra construction. The comfortable chinstrap is adorned with brushed Lycra material on touch points and features a flat D-ring fastener with an adjustable snap end retainer. Molded Bio-Foam padding inside the Gringo’s chin bar picks up the liner’s stitched diamond pattern with contrasting thread that matches the ventilated polyester panels inside. Vintage and unique design. Chrome accented edging on shell and eye port. Handmade stylish and high Strength shell. It has a normal fit. Blocks sun rays and protects your head. Offer great air circulation to keep your head cool. Classic and comfortable inner. Removable and washable cheek and top pads. Double D rings system. Meets DOT, CNS, and SG safety standards.